What a pleasant surprise to find that the male Mountain Bluebirds have started to arrive even with a significant amount of snow covering the ground in most places. This “first of the year” bluebird does indeed signal that spring has sprung and their arrival was indeed out of the blue. Just look at all that blue it is amazing. The perfect color. What do they eat? Will they have trouble finding food with the snow? Hi Jim, they mostly eat insects and I did watch this guy diving to the ground hunting but not sure what he was catching. There are some flies starting to hatch in places and I have heard they do eat juniper berries if not insects are available. Hi ellie, yes it is quite a sight and a real sign spring will indeed make its way here. Glad they have found their way to your yard. 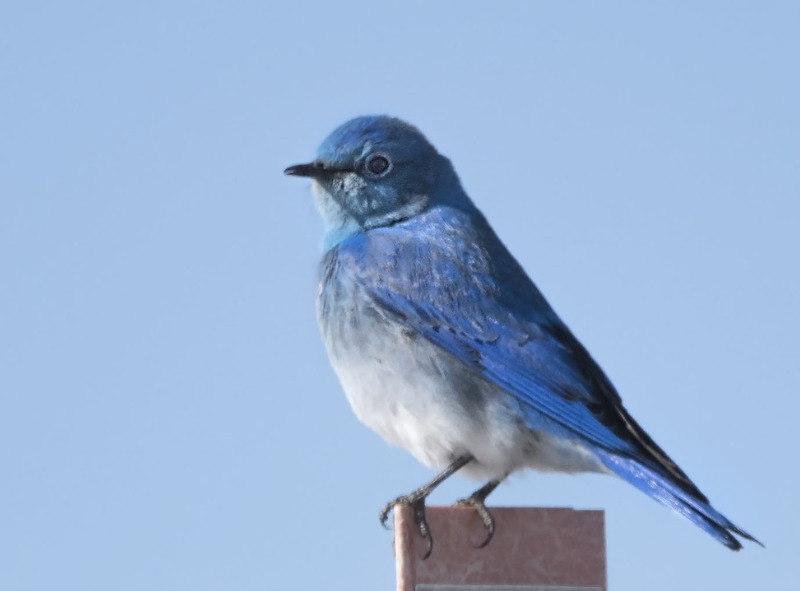 Do you have bluebird boxes? We are considering putting in a few along an open stretch of our your. It is always a wonderful sight to see their blue and warms the heart.